The skin on our face is the thinnest, which makes it more susceptible to drying and damage. The face is also exposed to environmental factors daily which can cause drying and flaking. [...] Additionally, improper skin care such as using hot water, harsh soaps, and not moisturizing the skin contribute to drying of the skin. The good news is, there are lots of ways to try to get rid of this pesky problem. It just takes a little research into the causes of your dry skin to figure out the best way to try to fix it. Continue scrolling to find the right skin care solution for you! Though the following treatments are numbered, they are in no particular order. I encourage you to scroll through and see which ones appeal to you. Hydration is the key to preventing skin dryness. Drinking lots of water every day—about eight glasses—goes a long way in replenishing the skin's moisture level. Eating fruits and vegetables is also a great way of staying hydrated. Experts say that it is best to wash your face with warm water. This is a notch warmer than lukewarm and is best for relaxing the pores of the skin without drying it out. It also makes cleaning the face easier. Whereas warm water is quite gentle, hot water is a natural exfoliator. If one has dry skin, hot water is an enemy that may cause aggravation, especially on the forehead. Keep in mind that this includes baths and showers! Using a mild facial cleanser may also help in maintaining the skin's water content, but only if you find the right one. Avoid perfumed cleansers with alcohol and sodium lauryl sulfate (a synthetic organic compound that dries up the skin's moisture), and opt for fragrance-free cleansers with ceramides. Fragrance-free cleansers are better than perfumed ones because the latter commonly contains alcohol, which quickly dehydrates the skin. Ceramides lock in moisture and keep skin soft and hydrated. Fragrance-free and unscented are not the same thing. "Unscented" products may still contain perfumes! Instead of water, one may also consider washing the face with milk. Milk contains ingredients that both cleanse and protect. For example, the lactic acid in milk naturally cleanses the skin while milk's lipid content supplies the natural oil the skin needs to stay moisturized. You can also use milk to naturally moisturize your skin. Simply dip a baby washcloth (these are gentler than regular washcloths) in a bowl filled with cold milk, and drape it over your face. Leave it on for about ten minutes to allow the milk to get rid of oil and dirt, infuse moisture, remove dead skin, and reduce redness. Choose whole milk or two-percent milk to ensure that your facial skin looks rehydrated, soft, and plump. You can do the milk cleansing method twice or thrice a week to give your skin a break from your usual cleanser. Note: Milk will not remove makeup, so make sure to remove all traces of makeup before cleansing your face with this method. To keep showers and baths from causing dry skin, make sure to keep the bathroom door closed and to limit your bath or shower time to about five to ten minutes. After splashing your face with warm water, rub the oil mixture all over with clean fingers and then gently wipe off with circular strokes using a washcloth dipped in warm water. After rinsing your face with some warm water, pat it dry using a soft towel. When patting your skin dry, do so for only up to twenty seconds to keep potential irritation down to a minimum. Use a soft, water-absorbing cloth such as terry cloth. You will know that your face is sufficiently pat-dried if it feels moist (but not dripping wet). It is not enough to just wash the face; in order to keep skin hydrated, you should also use a good moisturizer. Apply liberal amounts to the face, especially the dry skin on the forehead. Including the use of a face cream in one's daily makeup regimen can prevent a lot of regrets later on. Choose creams that are fragrance- and alcohol-free; in fact, pass up any moisturizer with too many ingredients that end in "-ohol." If possible, pick one that contains glycerin, ceramides, stearic acid, or shea butter, which aid in replacing the skin's moisture-retaining, protective layer. Creams with high pH levels also protect the skin from prolonged exposure to sunlight. Make sure to apply your facial moisturizer right after cleansing while your skin is still damp. This will ensure that your moisturizer traps an optimal amount of moisture on your skin. Put a dab of moisturizer on your palm and flip your hand over. If it runs or drips, it's not thick enough to help your dry skin. Apply your moisturizer, wait five minutes, and touch your skin. If it feels greasy, your moisturizer is too rich. 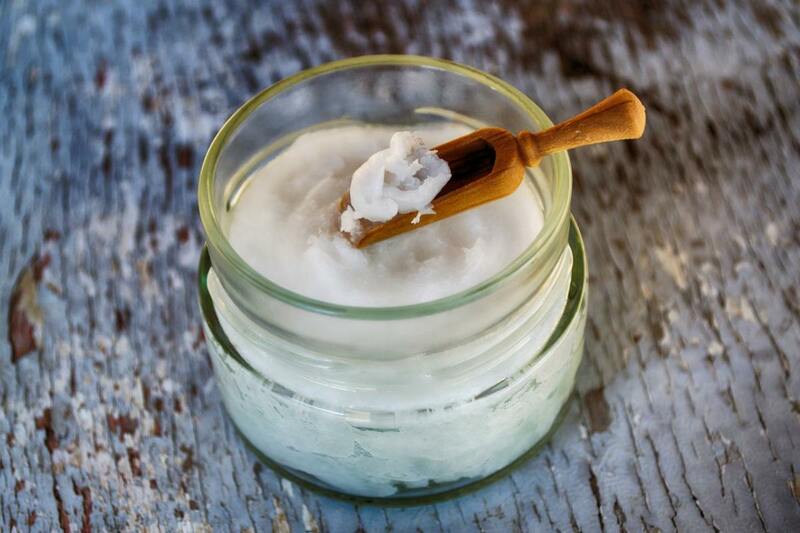 Petroleum jelly or glycerine can help make skin supple and less irritated. Simply cover the spots on your face that easily dry out with a thin coating to lock in moisture, let sit for ten minutes, and then wash thoroughly. In winter, you can do this every time you need to step outside to combat the season's harsh and drying air. For the rest of the year, you can do this twice a week. Combine one tablespoon each of olive oil and honey with one mashed banana. Combine one tablespoon each of grapeseed oil and honey with one mashed avocado. Mix one tablespoon each of milk, honey, and grapeseed oil. Simply smooth the mixture over your cleansed face, let sit for fifteen minutes, and rinse off with warm water. Aloe has natural soothing, hydrating, and anti-inflammatory properties that benefit dry facial skin. Just break open an aloe leaf, remove the sap inside, and apply it on your cleansed face. Let the aloe sit for about fifteen minutes before rinsing off with warm water. You can use an aloe face mask every week to help keep dry facial skin at bay. An egg facial is a great weekly treatment. Simply whip a couple of egg whites and then apply the mixture to your face. Let the egg white mask sit for ten minutes before washing it off. Repeat the process with the remaining egg yolks, and then gently pat your face dry before applying your favorite moisturizer. When it comes to fighting off dry skin on forehead and face, it is important to scrutinize your makeup routine. Your makeup may contain ingredients that contribute to your problems with dry skin. It may even be best for you to wear no makeup at all, but if you feel that you cannot go without it, you can try using oil-based cosmetics that do not have harsh ingredients (like alcohol) in them. Make sure to choose makeup made with all-natural ingredients such as almond oil, coconut oil, beeswax, and shea butter. These items help in nourishing your skin as well as keeping it from drying out. Cover your face whenever you have to go out. It is also important that you always protect your face from the sun's harsh UV rays with sunscreen. The winter months are notorious for sucking moisture from the skin on your forehead and face. Consider wearing a mask on cold and dry winter days to protect your face from the harsh air. If a mask feels too intense, you can wear a hat and cover your face's lower half with a scarf before heading outside. Most dry facial skin problems can actually be attributed to sun damage. This is the reason you should never forget to apply an SPF 30 sunscreen product all throughout the year (yes, even when it's cloudy or rainy!). If you worry about covering your face with heavy sunscreens, you can use a facial lotion with SPF instead. Be sure to use a sunscreen with dry skin formulation. This ensures that your skin gets not just the right SPF but also the moisturizing help it needs. Because dry skin is more likely to get irritated compared to normal skin, it would be wise to choose a sunscreen that does not contain colorants, perfumes, and other irritating additives. Note: Do not forget to protect your lips as well; you can use a lip balm with an SPF of 15 or more. Running a humidifier in your bedroom overnight will greatly help in preventing dry air from dehydrating the skin on the forehead and face. This is also a good way to infuse additional moisture into your facial skin, which helps prevent it from shedding too quickly and flaking in the morning. Keep in mind that keeping your bedroom's humidity at fifty percent is ideal. If you're opposed to using a humidifier, you can put a bamboo fern, Boston palm, Ficus alii, or another kind of naturally humidifying plant in your bedroom. Placing a container of water beside the radiator works is also effective at keeping your bedroom somewhat humid in winter. Preventing dry skin problems on the forehead and face becomes easier and more effective when you take steps to keep your body healthy on the inside as well as on the outside. The foods you eat greatly affect how your skin appears. Healthy eating habits are essential in keeping your skin healthy, hydrated, and glowing. Get Your Fair Share of Healthy Fats. Ensure that your body gets the fats it needs for healthy skin by eating fish, which are rich in skin-friendly omega-3 fatty acids. Good choices of skin-nourishing fish include salmon, mackerel, anchovies, herring, rainbow trout, and sardines. The healthy fats they contain have the ability to strengthen your skin cells, protect your skin from sun damage, reduce inflammation, and reduce the risk of skin cancer. Your body needs these healthy fats to enable the skin as well as other organs to function properly. Omega-3s have also been found to help the cardiovascular system work optimally, allowing it to circulate blood (and the nutrients it carries) to all cells, especially in the skin. Some fish also contain selenium, a trace mineral that helps preserve the skin's elastin, resulting in supple and smooth skin. If you're not big into eating fish, omega-3 fatty acids can also be found in high amounts in fish oil. Your skin will also benefit from less inflammation with the consumption of fish oil since it also has anti-inflammatory properties. Olive oil (extra virgin) is another good source of healthy fats and vitamin E, which can moisturize your skin when eaten as well as applied topically. Make Sure You Get Plenty of Vitamins and Antioxidants. Another great way of hydrating and protecting your skin is by eating fruits, especially water-dense tropical ones. High amounts of antioxidants, as well as vitamins C and A, can be found in most fruits. These help in replenishing skin nutrients, promoting the production of collagen, and maintaining your skin's firmness and suppleness. Check out this list of the top 10 fruits for glowing skin for more information. Seeds and nuts are also great go-to sources for antioxidants, vitamins E, A, and B, minerals, omega-3s, and monounsaturated fatty acids. These nutrients have the ability to promote skin hydration, skin elasticity, and cell regeneration, as well as provide protection against free radicals and pollutants. Vitamins E and C can also be found in high amounts in avocados, which is why the fruit is effective in locking moisture into the skin. Yellow and orange vegetables are good sources of beta-carotene, another nutrient that promotes skin health. Beta-carotene is a form of antioxidant, enabling it to help fight dry skin on the forehead and face and protect your skin from the sun's harmful rays. Most yellow and orange veggies are also rich in vitamins C and A, both of which aid the body in repairing tissues as well as producing collagen. Dark green, leafy vegetables, like spinach, are rich sources of vitamins E, A, and B as well as iron and omega-3s. These aid in protecting the skin and giving your immune system a boost. Dark, leafy greens also contain folates and phytochemicals that help in hydrating the skin and keeping it healthy. Protein is needed by the body for the regeneration of cells. This nutrient can be found in high amounts in eggs. Eggs are also rich in lutein and sulfur, which help improve your skin's elasticity and hydration. It is also important that you avoid smoking, drinking excessive amounts of alcohol, and taking drugs. These vices greatly impact your skin, making it look drier and older. For your healthiest skin, it is best to do away with alcohol, drugs, and tobacco entirely, but even significantly cutting down on them will help improve the quality of your skin. What Are the Causes of Flaky, Dry Skin on the Forehead and Face? The forehead is particularly susceptible to dryness and irritation. Many external and internal factors contribute to facial dryness, the severity of which depends on how many and how intense these factors are. While the causes of skin dryness, especially on the face, are mostly external, it is important to note that the cures to these come from external sources as well. Here is a comprehensive list of factors—both external, internal, and other—that may be the cause of your dry skin. I will only list the causes here, but their solutions can be found in the following section. Skin Care. Ironically, attempts to take care of our skin often have the opposite effect. Here are some ways that our daily routines, from maintaining basic hygiene to using skin care products, can actually cause dry skin. Washing, bathing, or showering too often, too long, and with very hot water can remove many of the skin barrier's lipids. Using harsh cleansers or excessive treatments can also cause dry skin. Using things like washcloths and cleansing mitts on your face can be harsh and drying. Environmental Irritants. Environmental factors can have a huge effect on the dryness of our skin. UV rays hasten the aging rate of the skin, making it more prone to becoming dry as you age. Your chances of having dry facial skin are likely to increase with excessive exposure to the sun. Being exposed to UV light for long periods of time and without any protection also greatly increases your risk of premature aging (developing wrinkles and fine lines too early). Dry air, whether it is cold or hot can be very drying. Other harsh weather conditions and seasonal changes can also be problematic, which is why symptoms of dry skin are more common during the summer and winter months. High levels of pollution can seriously damage our skin. Medication. A number of medications can affect the skin's internal water balance. These medications include diuretics or those that are taken to control blood pressure levels. If you begin taking a new medication and notice symptoms of dry skin, consult your doctor about changing the dose or switching to a different medication. Age. As a person gets older, there is a reduction in the ability of his or her skin to produce lipids and sweat since the skin's sweat and sebaceous glands functions are also reduced. Aging increases an individual's chances of having drier skin, which also increases his or her likelihood of having wrinkles and fine lines. Dehydration. The quantity of water in the body is reflected in the quantity of moisture present in the skin. This means that becoming dehydrated prevents the body from providing enough water to the skin, leading to insufficient moisture and dry skin. Elderly people (whose feelings of thirst get reduced with age) and manual laborers, as well as regular exercise enthusiasts, are the especially prone to becoming dehydrated and having dry skin. Smoking. Cigarette smoke contains blood flow-reducing nicotine as well as other toxins that slow down skin metabolism, causing it to dry out and undergo premature aging. Occupational Hazards. Gardening, playing outdoors, or spending the holidays in a cold place can cause facial skin to become dry. If you live in an area with intense sunshine and experience persistent dry skin, it may be worth visiting a dermatologist to make sure nothing more sinister is going on. Getting real for a moment: dry skin could mean skin cancer. Skin cancer can increase the sloughing of skin and fool us into believing it’s simply lacking moisture. [...] In my office, [with] patients above age 40, dry-appearing spots on the forehead and face have a 50% chance of being (or becoming) early skin cancers. Dry skin, or xerosis, is caused by the stripping away of lipids (fatty oils) that seal moisture in the skin. Due to this lack of hydration, the skin cracks and flakes, causing unsightly blemishes that are sometimes mortifyingly visible to others. Dry skin is associated with reduced oil production on the skin surface. Both men and women put more effort into skin care for their face than any other part of the body, but more treatments aren't always the answer, and one of the most obvious backlashes of excessive treatments is dry and flaky skin on the forehead. Using too many products and treatments (especially the expensive, high-tech ones like retinol and chemical peels) can actually do more harm than good. Often, the mis- or overuse of these products can cause skin to become raw, red, and flaky, leading users to believe they have “sensitive” skin when that isn’t really the case. Think this might apply to you? Try scaling back your use of these products or eliminating it altogether. If your skin evens out, it isn't sensitive. I've Tried Everything and I Still Have Dry Skin. If after all these easy treatments, the dry and flaky skin is still there, one may consider talking with a dermatologist to determine the cause. This might be a prelude to a more complex skin problem. Inflamed and flaking skin is called dermatitis and could be due to several factors. The following are the most usual skin problems and some possible treatments. The table provides a brief overview and is followed by in-depth discussions of each condition. The dry, flaky skin associated with contact dermatitis can often be found on the forehead area and results from contact with a substance that is irritating or triggers an allergic reaction. Treatment of contact dermatitis is based on preventing skin exposure to any irritating or allergenic substances. Eczema is an overreaction of the body’s immune system that causes the skin to become itchy and rashy. In adults, facial eczema often manifests as flaking skin, red patches, or small bumps. Scratching affected areas can lead to darkening and infection of the skin. Treatment is focused on healing the skin and lessening the symptoms. This often involves the use of steroid creams. This chronic condition causes skin to develop into silvery scales. In psoriasis, the skin cells mature about five times faster than normal, causing dead skin cells to pile up and flake. It is most likely to appear first in patients between the ages of 15 to 35 years old. Facial psoriasis most commonly affects the hairline, upper forehead, eyebrows, and the skin between the upper lip and the nose. Although incurable, those who suffer this condition may use topical treatments (both over the counter and prescribed) like ointments, salicylic acid, and corticosteroids. In severe cases, more serious treatments may be necessary. Like eczema, psoriasis also comes and goes. 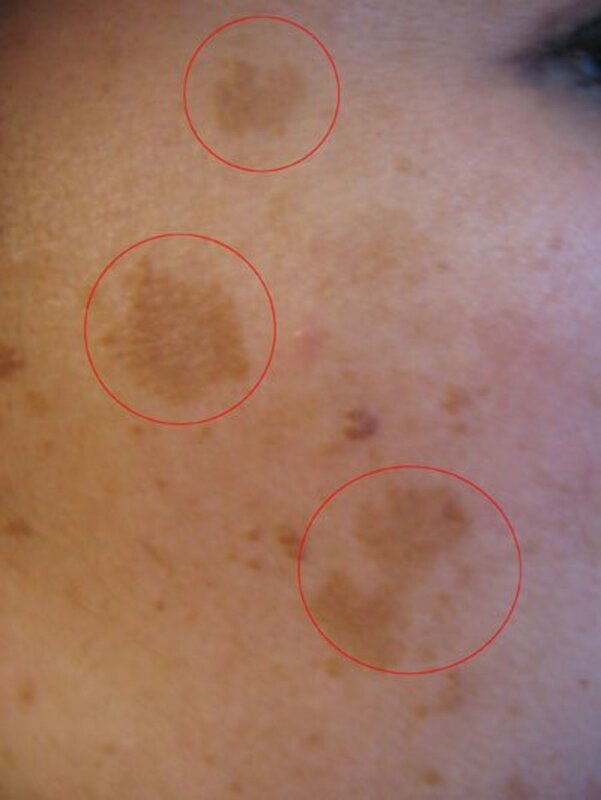 This is a common skin condition that mainly affects the scalp, causing scaly patches and stubborn dandruff. Apart from the scalp, the skin below the hairline and above the eyebrows are the most susceptible to seborrheic dermatitis. According to doctors, hormonal influences may be a cause of this chronic disease. In adults, this condition can be long-lasting, with flare-ups occurring periodically throughout the rest of their lives. In most cases, over-the-counter treatments such as medicated shampoos, creams, and lotions are sufficient to resolve this type of dermatitis. If home remedies prove ineffective, your doctor may suggest prescription ointments,shampoos, medications, and so on. There are two types of contact dermatitis—allergic and irritant. The nature and extent of rashes related to irritant contact dermatitis depend on how much of the irritant came in contact with the skin, and for how long. Most cases of contact dermatitis subside of their own as soon as the allergic or irritating substance is no longer in contact with the skin. That being said, it is important to remove that substance, or symptoms will continue. Keep reaction-causing substances from getting in contact with your skin. If you get contact dermatitis from jewelry, you can protect your skin from the metal by painting the inside of your bracelet with a coat of clear nail polish or lining it with clear tape. Cover the affected area with calamine lotion or some anti-itch cream. You can also try applying cool, wet compresses to it throughout the day. Keep yourself from scratching at the affected area. Do not forget to apply moisturizer several times a day. Make sure to trim your nails. If you cannot resist the urge to scratch, cover your hands with gloves. Treat yourself to a cool bath soak. You can sprinkle the bath water with oatmeal or baking soda to soothe itching. To help avoid irritating your skin, wear smooth-textured clothing made of cotton. Use only mild, dye-free, and fragrance-free soaps when cleansing your skin. Be sure to rinse completely before patting your skin dry and applying moisturizer. The most common type of eczema, atopic dermatitis, primarily affects children, although it is known to occur in adulthood as well. Atopic dermatitis is a chronic skin condition that is characterized by periodical flare-then-subside episodes. People living in dry climates and cities are more prone to this. Consider taking an anti-itch or oral allergy medication. Give bleach baths a try. Though they may sound scary, they help reduce the bacteria on your skin and minimize any related infections. To prepare a bleach bath, fill your bathtub with forty gallons of warm water and then add one-half cup of household bleach. Soak the areas of your skin affected with eczema for ten minutes before rinsing, patting dry, and moisturizing. You may take bleach baths twice or thrice per week. Apply calamine lotion or an anti-itch cream to the eczema-affected area of your skin prior to moisturizing. 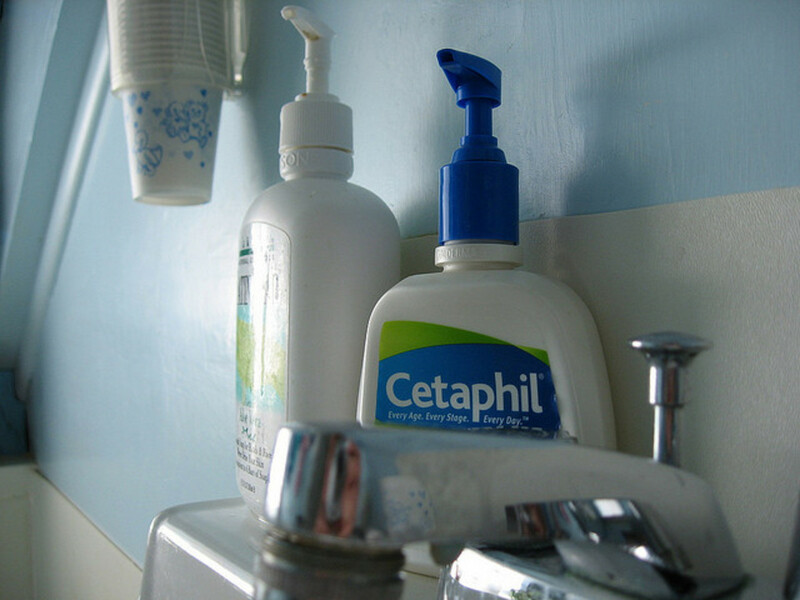 Once your eczema has subsided, you can use the lotion or cream less frequently for preventing flare-ups. Apply moisturizer to affected areas at least twice per day. Remember to do this while your skin is still damp (i.e. after your shower or bath). 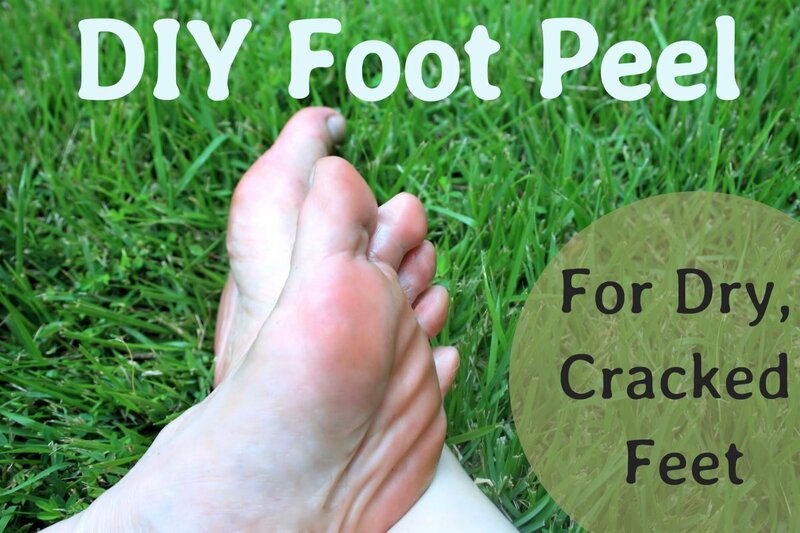 Avoid scratching eczema-affected areas. If scratching is inevitable, trim your nails and cover them with gloves, especially during nighttime. Soothe the affected area with cool, wet compresses. You can then use dressings and bandages to cover and protect them from being scratched. A 10- or 15-minute warm bath is great for relieving eczema. You can add uncooked oatmeal or baking soda to the bathwater to further soothe your skin. Once done, pat your skin dry and then apply moisturizers and/or medicated lotions. It is best to use mild soaps that are made without perfumes or dyes. Always be sure to rinse completely afterward. Try using a humidifier to prevent dry, hot indoor air from parching your sensitive skin and making all that itching and flaking worse. Wear cool clothing made of smooth-textured cotton to help reduce irritation. Most individuals with psoriasis experience symptoms in cycles that may flare up for weeks or months before subsiding or going into remission. Take daily baths to help calm your inflamed skin and remove any scales. You may add colloidal oatmeal, Epsom/Dead Sea salts, or bath oils to your bath before soaking, but make sure to steer clear of harsh soaps and hot water to avoid worsening your psoriasis symptoms. Instead, use oil- and fat-enriched mild soap and lukewarm water. Do not forget to use a moisturizer after bathing. Pat your wet skin and apply a thick, ointment-based moisturizer right away. If your skin is extremely dry, you might even consider using oils since they are more easily retained by your skin compared to lotions or creams and do a better job of keeping the water on your skin from evaporating. Apply moisturizer throughout the day, especially during cold and dry weather. Allow small doses of sun exposure. Controlled amounts sunlight are effective in significantly improving skin lesions, but you must make sure not to get too much sun, as that can worsen your symptoms as well as make you more likely to have skin cancer. Remember to apply a sunscreen with SPF 30 or above to your unaffected areas. Apply the sunscreen generously, and reapply after perspiring or swimming (every two hours is ideal). Do your best to avoid your psoriasis triggers. Stay away from alcoholic drinks, which can reduce the effectiveness of certain treatments for this condition. This condition is not contagious and is not an indicator of poor hygiene, but it can still make the affected individual feel embarrassed and uncomfortable. This skin condition's exact cause is not yet known, although it is thought to be linked to Malassezia (a fungus present in skin secretions), early spring or winter, and psoriasis-related inflammatory response. Use olive oil or mineral oil to soften scales on your hair and scalp. After one hour, rub your scalp to remove the scales, brush your hair, and then wash gently. Make sure your skin is cleansed regularly with mild soap. Rinse all soap traces off your scalp and body. Use moisturizers as well as an antifungal cream or mild corticosteroid cream afterward. Never use products that contain alcohol. These tend to cause seborrheic dermatitis flare-ups. For less irritation and more air circulation on your skin, wear cotton clothes that have a smooth texture. Shave your mustache or beard, which can cause symptoms of seborrheic dermatitis to worsen. Never scratch an itch. This leads to more irritation and a higher risk of infection. To relieve itching, apply calamine lotion or hydrocortisone cream. If your eyelids show signs or scaling or redness, gently wash them with baby shampoo every night. This will effectively wash your eyelids without further irritating them. You can also try using hot or warm compresses. When washing your baby's scalp, use a non-medicated baby shampoo. Do this once a day if your baby has cradle cap. Use a small brush with soft bristles to gently loosen any scale prior to rinsing your baby's scalp. Though they may seem like the same thing, these are two distinct conditions, and treating one if you have the other will only make it worse. Dandruff flakes are generally larger and oilier than those from dry scalp. Dandruff may also be accompanied by red, scaly skin on or near the scalp. If you start treating yourself for one condition and your symptoms worsen, you might have the other. There are five common types of skin for humans—normal, oily, combination, sensitive, and dry. Normal skin is also characterized by good elasticity as well as the right balance of oil and moisture. The good part about having oily skin is that it lets you age gracefully; the skin is kept moisturized by the oils, and fewer wrinkles are formed. A number of young women find that their usually oily skin becomes drier as they enter their mid-30s. Women with dark skin may find that their skin looks dull or ashy due to an accumulation of dead (dry) skin. Acne, rosacea, and contact dermatitis are just a few common causes of sensitive skin. Determining your skin type is an easy and essential step towards figuring out what skin care routine works best for you. There are two common ways to figure out what your skin type is, and it's not a bad idea to try both. This one-step method is excellent and effective. Simply apply an oil blotter or clean tissue to your face as soon as you wake up and analyze the results. If small amounts of oil are picked up by the blotter on your forehead, nose, and chin, your skin type is normal. If there are lots of very greasy spots on the blotter, then your skin type is oily. A clean blotter that picks up skin flakes and no oil indicates a dry skin type. A blotter that shows oily spots on the T-zone is a sign that you have combination skin. The only downside of this method is that the results may be skewed depending on what you've done that day. It's no surprise that trying to determine your skin type after a sweaty session at the gym won't give you a clear answer, but even testing your skin type after eating a spicy bowl of ramen might give you funky results. A good way to make sure the results are correct is to try testing your skin with this methods a couple of times on different days and comparing the results. This method requires slightly more effort than the blotting sheet method, but it has the benefit of yielding more accurate results. Wash your face with a gentle cleanser and warm water to remove any makeup, dirt, and oil. Pat your face dry (rather than scrubbing it) with a clean towel. Do not apply any products to your skin for one hour. Use a blotting sheet to dab your T-zone. Analyze the results according to the criteria from the Blotting Paper Method. Note: if you do not have blotting sheets, a thin square of toilet paper will also work. If your face feels cleaner, you may have oily skin. If your face feels taut, you may have dry skin. If your T-zone feels clean but your cheeks feel tight, you may have combination skin. If you feel any itchiness or see signs of a rash, you may have sensitive skin. If you don't experience any of the above, you probably have normal skin. Note: It is not uncommon for your skin type to change with shifts in the weather, so it's a good idea to keep tabs on how your skin reacts to warmer/colder weather and adjust your skincare regimen accordingly. 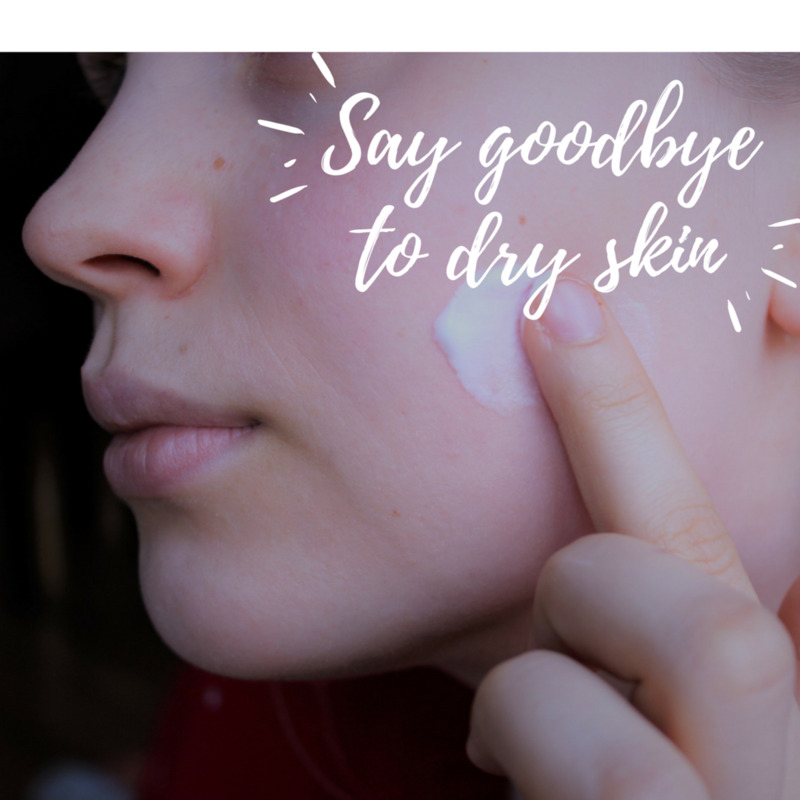 Dry skin can be very annoying, but eating healthy and living healthy will likely help you avoid this issue, facial or otherwise. There is simply no substitute for a clean body! Of course, being conscious of the products that one uses never hurts. 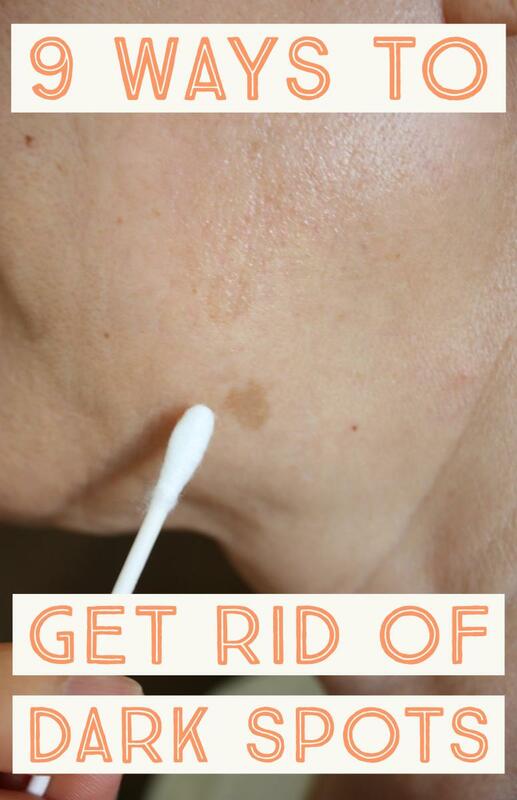 I hope these easy treatments will help you banish dry skin and get back to being the best "you" you can be. Dermatologists help patients identify sources of facial allergic contact dermatitis. Yes, as in washing your face with oil. Here, M.D.s discuss why the oil-cleansing method can do your skin a world of good. Before you can treat dry skin properly, you need to know what's causing those dry, itchy patches. Here are seven common causes of dry skin. Your complexion might not fall into the category you think it does! 5 common skin types and how to care for each - What's yours? It helps to know your skin type to help with a skin care regime and selecting the most appropriate products. If you have very dry to severely dry skin patches foderma serum helps almost instantly. Over a few weeks, it almost completely cleared my skin. I would recommend foderma serum. The information in this article is very helpful. I believe that incorporating into my diet, the food, etc., mentioned in this article will help get rid of my dry, itchy skin that occurs during the winter months. I have red scaly skit on the bridge of my nose spreading out a bit. No itching or discomfort but it's unsightly. I'm wondering if it happens from wearing glasses. The bleach bath thing sounds very unsafe. I have extremely dry skin and suffer from patches of eczema on my fingers and I have found that foderma serum definitely helps soothe when used regularly. I also have issues with my hands cutting and splitting. I don't find this helps much with that aspect, but I would recommend overall. Thanks for telling us about skin problems and treatment. Every one gone through different skin problem you gives the best for everyone problem.This hub is very informative. Keep posting these type of articles. I often suffer from dry skin on the forehead and chin areas. This hub was very helpful. Thanks for sharing.